This is my idea of a well-made documentary. A REALLY WELL MADE FILM. The quote on the poster of “Enormously Entertaining!” is hype. I wouldn’t say that. I’d just say it is extremely well-made — so much that it didn’t need to be enormously entertaining. Just watched it. King Corn came out in 2007, so I guess I’m kinda late to the party. But I do criticizie a lot of documentaries, so it’s a good idea to share some thoughts when I see one that is really well-made. Why do I like this film? It’s well-structured, clean, simple, honest, humble, substantive, well-shot, smooth, consistent, nicely paced, and despite being made by a couple of outsiders (two kids from the east coast), it respectfully gets to the core of the world into which the filmmakers entered (which is perhaps attributable to the coincidence that both of their grandfather’s were corn farmers from the same county in Iowa). Bottom line, it’s really, really good. First off, the narrative structure. There is a simple, age-old, time-tested, narrative structure for any topic dealing with nature, which is to document a piece of nature for a full year. It provides a clear road map for the storytelling that lets the viewer know exactly where you are in the “story” as it progresses. Unlike a lot of Michael Moore’s documentaries, where you find yourself wondering how far along you are, then are presented with what seems like multiple endings (as was the case for “Bowling for Columbine” — a great movie, but a bit of a wonky overall structure). Some of the greatest nature documentaries ever made use this structure — films like “The Year of the Wildebeest,” “The Red Deer of Rhum,” and even “March of the Penguins.” It works. Plain and simple. There might be more creative things you can do than just follow the subject for a year, but in the absence of some really great variation on this structure, it works just fine. And that’s what these guys did, starting in January and ending in December. Secondly, the culture of the midwest is a delicate subject. I grew up there, in Kansas. I despised what the makers of “Jesus Camp” did in 2006. Two east coast filmmakers came to Missouri and told an exaggerated story that played into the fears of liberals at the time. They told of the supposed “indoctrination” of teenagers at religious summer camps for kids that made them cry for Jesus — as if the religious right was taking over the entire country. But if you read Kevin Phillips excellent book, “American Theocracy,” you knew that this has ALWAYS been a nation dominated by religious fervor — he points out that at the time of the Civil War it was THE most Christian nation on earth. And closer to home for me, I grew up with countless friends that I watched cry for Jesus when we were in high school. In fact, I joined the Fellowship of Christian Athletes simply because all my friends did (along with the Young Republicans Club). None of those friends turned out to be religious fanatics. For most it was simply a part of puberty — a phase they passed through. No big deal. But filmmakers could have just as easily back then made the same sort of dishonest, distorted film. Blah. In contrast, the guys who made “King Corn,” did exactly what I tried to do with “Flock of Dodos” — which is to simply let the people talk and let the viewer make up their mind as to the interpretation. The only difference is that they are much better filmmakers and ended up with a smoother, well put together product (Dodos was fun, but, because of the low budget, ended up being visually choppy). What’s really nice with the film is the consistent pacing and flow. One of the complaints my editors had with “Dodos” all along was that “there’s no breathing space.” Which was true. It is a classic scientist-made film — packed with too much information. And of course the irony is that a lot of scientists didn’t like the movie because they still felt there wasn’t enough information in it. But we paid a major price at Tribeca as the distributors all said the movie was “too dense,” and “too educational,” and “too informationy” (one distributor literally used that non-existent term). 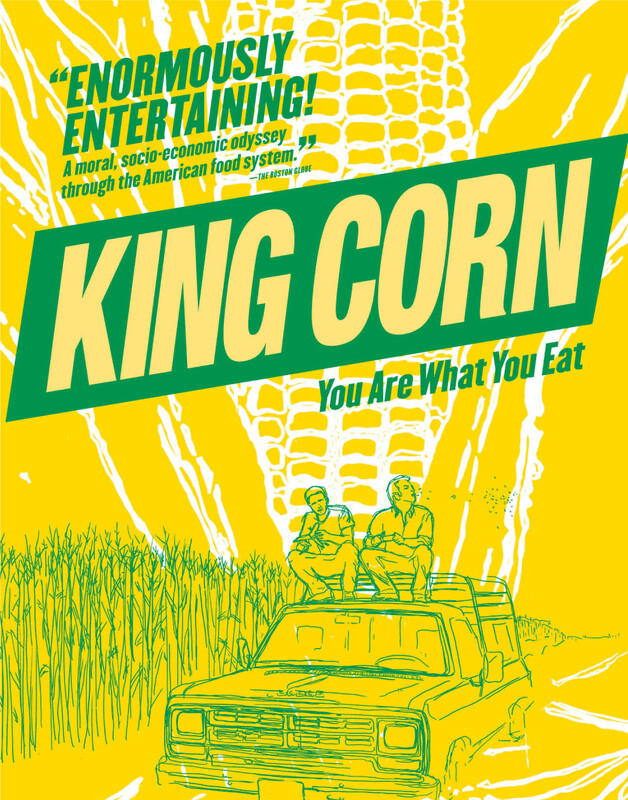 Again, in contrast, “King Corn” is filled with lots of beautifully shot scenes of corn fields and farm equipment — lots of deep space, great perspective, great shot composition — interspersed to give you time to take in what they’re talking about. Even the simple interviews have a nice look to them — their cameraman had a good eye. It’s visually pleasing. And lots of great attention to detail. The two kids dress informally throughout most of it, but when they go to see Earl Butz, the former Secretary of Agriculture under Nixon and Ford, they dress up in coats and ties. That’s a great touch. Clearly nearing his death bed (he died in 2008, the film was released in 2007), they are very respectful to him and let him verify in his own words that he is probably the individual most responsible for the mess that we are in today with over-production of corn and proliferation of diabetes. He nails their entire premise as he proudly takes credit for today’s situation because he’s only focused on how cheap food is today, and how much less work it takes to produce it. That’s perfect when the subject makes a statement that can be taken one way (the pro-corn people probably view him as their hero) or another (he is the guy who wrecked it all in many people’s view). Such a good film. I wish I could make films like it. I hope somebody came to them with a lot of money to make more films. They provided a very humble, level-headed voice, of the sort that is needed these days.